Learn how to find good contractors and choose the best one for your job. Even if you’re handy at making home repairs and improvements, sometimes it’s better to call in a pro. Like when a job calls for special equipment. Or there’s a risk of running into major problems if you mess up. When it’s time to enlist a contractor, these tips will help you choose the best one for the job. You have a lot of options for finding good contractors. Start by asking around. 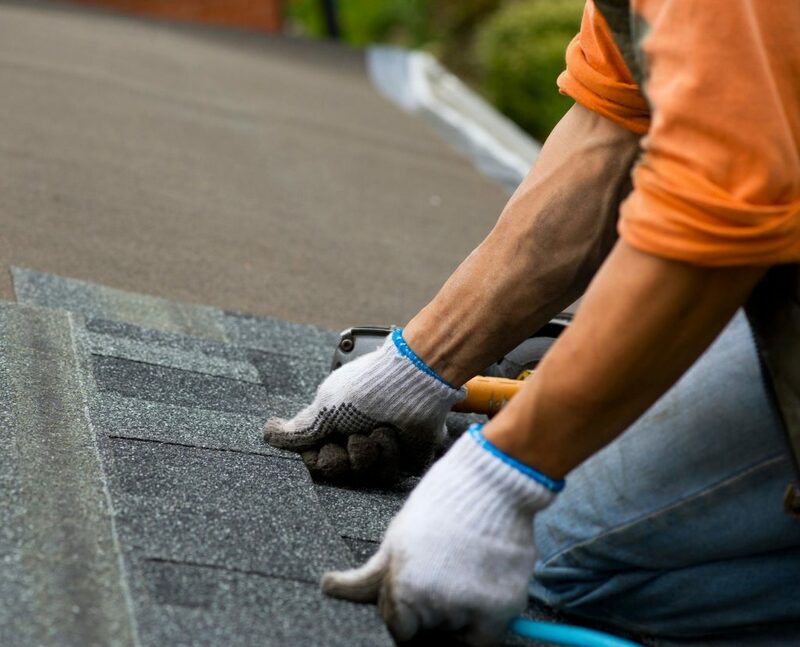 A quick, “Looking for a good roofer–any recommendations?” on Facebook may be all it takes to gather names of trusted roofers (and plumbers, electricians, landscapers, painters, etc.). In-person chats with your neighbors, relatives and coworkers can clue you in to who’s good to hire. Talk with the employees at your local hardware store. Often, they can provide referrals. Okay, there is nothing “magic” about three, but it’s the minimum number of contractors you should interview. Ask each one for a written bid. When you have your three bids, make sure each specifies the same materials and scope of work so you can compare them fairly. Ask questions and notice how they answer. What you experience now can be a good indicator of the kind of working relationship and communication you’ll have down the line. When your bathroom remodel takes six weeks, you want to be comfortable with who’s working in your home. The best contractor may not be the one with the lowest bid. Or the one who can do the work the fastest. Or the soonest. If one bid comes in drastically lower than the others it should raise a red flag. It could mean lower quality materials or workmanship. Keep in mind that people who do the best work are always busy. Contractors with a waiting list are in demand because their work is worth waiting for. Online reviews can be gamed (with both good and bad reviews) and should not be relied on too heavily. Ask the contractor for references and request the name of at least one current customer. They’ll have the most recent experience with the contractor. Choose a contractor who has done work similar to what you want done. You don’t want to be a test case where they’re learning on the job. If you like contractor A better than contractor B, but A’s price is higher, don’t be afraid to negotiate. The time for this conversation is after you get the bid and before you sign the contract. The best way to make sure you get everything you want is to make sure it is detailed in writing in your contract. Establish deadlines and progress payments. Specify the exact materials to be used. Agree on what hours the contractor and crew can work at your home, use of the bathroom and the condition of the worksite at the end of each workday. Having specifications spelled out prevents misunderstandings and provides a way to resolve any problems. If you change your mind about materials or the direction of the project, a change order is needed. When it’s written up, it will detail the new work and its cost. It’s not unusual for a contractor to request 10% of the total cost before getting started. If you’re using costly specialty materials, the deposit may be more. Don’t make the final payment until the job is done. Your contractor has more motivation to complete the final details if his or her pay depends on it.